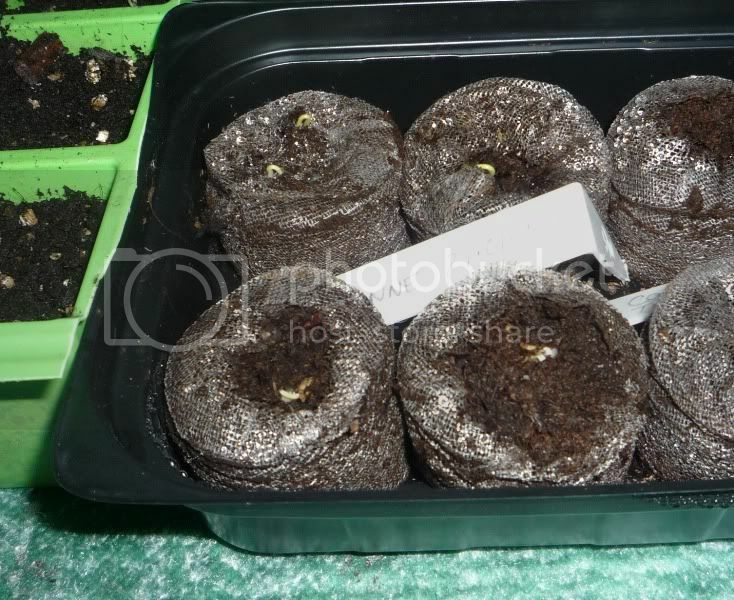 The Kat's Scratch Pad: Chilli Growing...again! Nearly a month between posts - that shall never do! 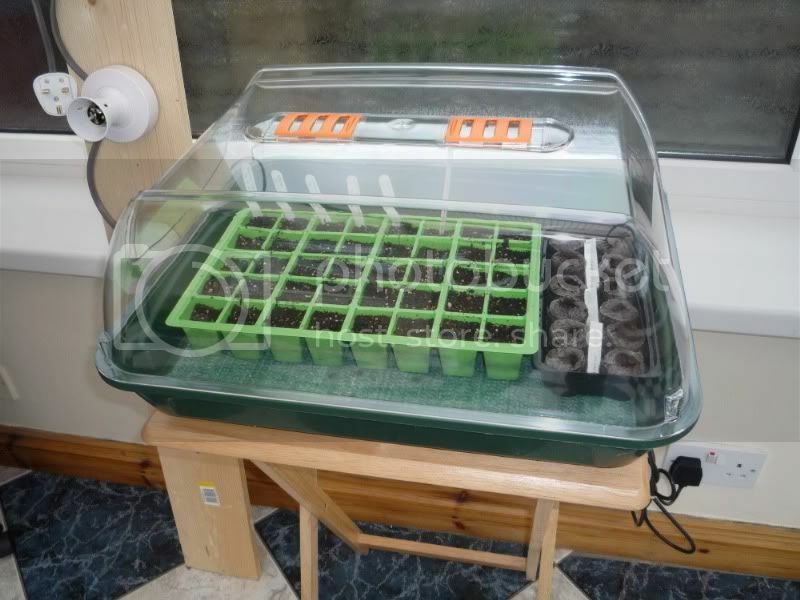 I've been rather busy as I recenlty decided to have another crack at growing chilli plants. I've tried this once before, but had rather a poor result; by poor result, I mean I killed them all. This time, I'm determined to get some plants; I'd love to eat something that I have grown myself, I imagine that the sense of achievement must be immense. My mother and grandfather were keen growers and often, most of what was on the dinner table had come from their gardens. Obviously being a kid, I never fully appreciated the brilliance of that; I would now... but isn't that always the way? Well, it's never too late - I'm going to have a go at this home growing and experience the joy for myself! 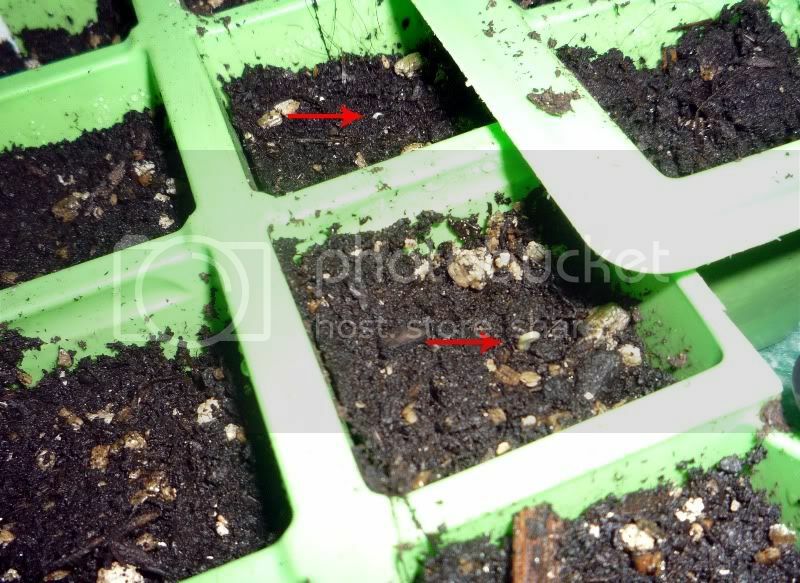 ...both of these types were planted a few days before the other seeds so they've had a head start. I have a little while to wait before any of the other varieties show their faces. Whilst waiting for the seedlings I've been building a lighting rig for them - they'll have more chance of success if I ply them with as much daylight as possible! 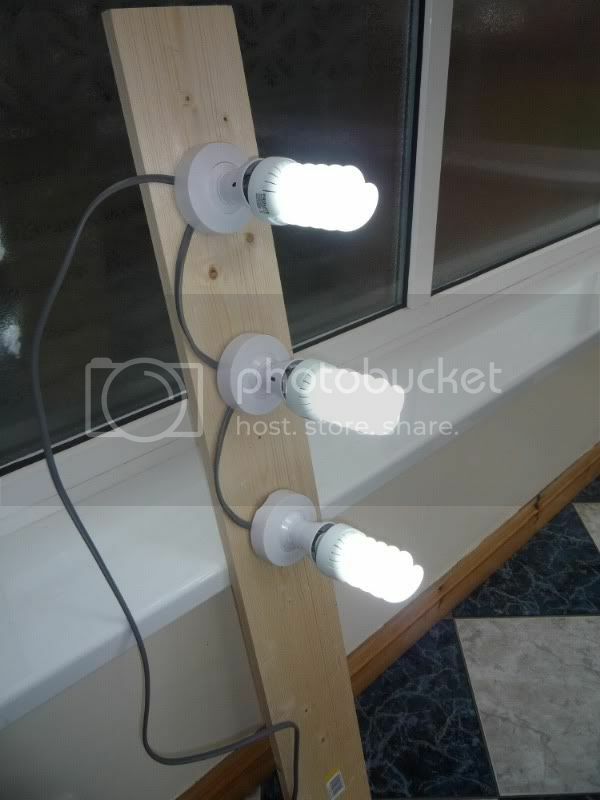 I've made a holder for 3 artificial daylight bulbs - these mimic the spectrum of light given off by natural sunlight and will help to make the plants shoot up! 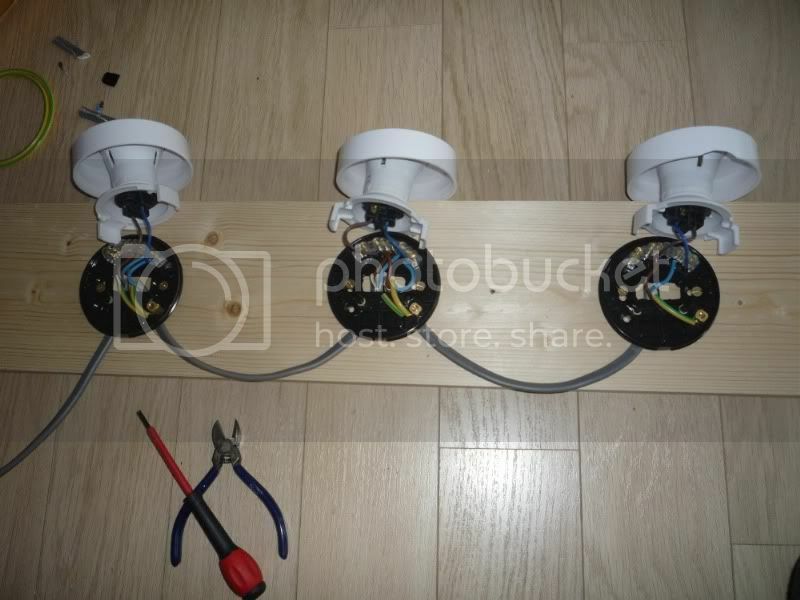 I just have to build a reflector now; that will hang over the light fitting. This will bounce the light down over the plants making sure they get the full benefit of the bulbs instead of the light merely lighting the whole room. On another note, I will also have to knit a chilly toy - it only seems right to mix the two hobbies at some point!